View our company video and learn a little more about us. Our people, experience and passion are what make the difference. Nine of our thirteen employees have been with us for more than a decade. Since 1979, Schmitt’s Landscape Company has been committed to providing homeowners with exceptional Northern Naperville landscaping, Northern Aurora landscaping, Wheaton landscaping, lawn care, maintenance and repair. Schmitt’s Landscape Company’s recipe for success and client satisfaction continues to build upon a tradition of expert labor, superior building materials and years of hands-on experience. Schmitt’s Landscape Company’s mission is to support homeowners in Northern Naperville, Northern Aurora, North Aurora, Wheaton, Warrenville, Batavia, Glen Ellyn and greater Southwest Chicago in developing a landscape that works and looks great—while also improving the comfort, appeal and value of their homes. 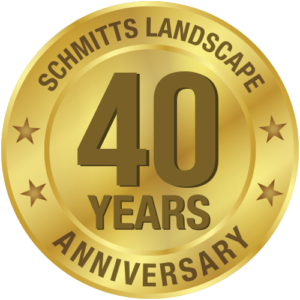 Over the past 40-years Schmitt’s Landscape Company has grown to meet the needs of our clients. Our passionate team of thirteen full-time employees is dedicated to our clients and to the craft of designing, building and maintaining Wheaton landscaping, Northern Aurora landscaping and Northern Naperville Landscaping. We credit our success to the knowledge, experience, and commitment of our employees. Nine of our employees have been with Schmitt’s Landscape Company for twelve years or more! Professionalism and quality service are the hallmarks of Schmitt’s Landscape Company. Our experience has taught us that the key to creating lasting client relationships and consistent service has been to form individual teams of employees—with each team tasked for a specific type of work, from hardscape construction to landscape maintenance. Our approach ensures that each of our services is performed by a group of employees with specialized knowledge, experience and tools geared for that specific type of work. We’re excited to have Brad Taylor on our team! Brad graduated from Utah State University in 1981 with a Bachelors Degree in Landscape Architecture and Environmental Planning. With 31 years in the industry and extensive experience in designing, job costing, and project management of commercial and residential projects — Brad is a valuable asset. Brad enjoys collaborating with new clients on a design unique to their environment. His teamwork philosophy reults in an end product that highlights the client’s property. Brad resides in Wheaton, IL with his wife and two daughters. Brad enjoys reading, bike riding and spending time with his family. Our Northern Naperville landscaping design and construction team is headed by foreman Ruben Ruiz, an experienced and capable leader and our “Right Hand Man.” Ruben is our most seasoned foreman with seventeen years of service at Schmitt’s Landscape Company. Leading the way in hardscape design and construction for Northern Aurora Landscaping and other communities is foreman Ruben Medina heads up the team with over fifteen years with Schmitt’s Landscape Company. Foreman Mauricio Ruiz manages all planting and bed maintenance services for Wheaton Landscaping, Naperville Landscaping, Aurora Landscaping and all other communities. Mauricio has served with Schmitt’s Landscape Company for thirteen years. Heading up lawn mowing maintenance, foreman Julio Ruiz has been working with Schmitt’s Landscape Company for six years. The following are a few recommended links to more information about the plants and products Schmitt’s Landscape Company uses, and for educational purposes. 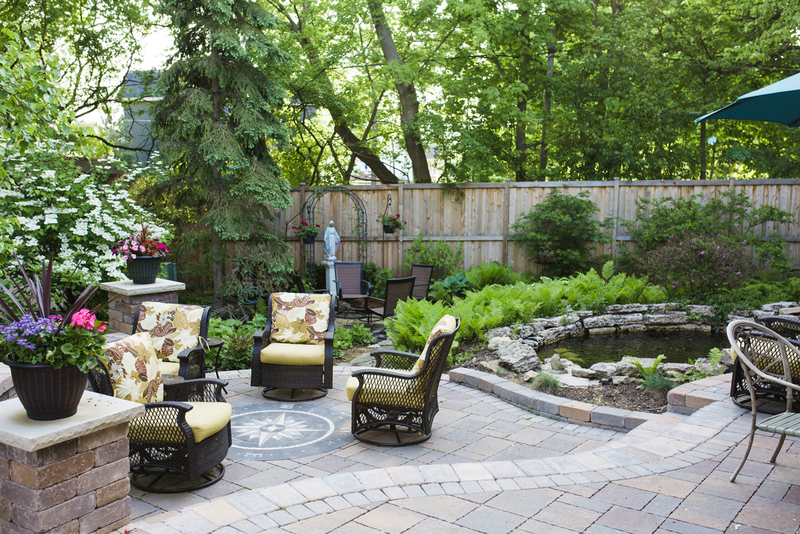 Schmitt’s Landscape Company serves the greater Southwestern suburbs of Chicago. Give us a call at 630-469-0607 to discuss your vision with us and for a free consultation. Our Wheaton location positions us perfectly to offer exceptional Wheaton landscaping, Northern Aurora landscaping and Northern Naperville landscaping.